On 26 February 2018, an earthquake measuring 7.5Mw hit the Highlands region of Papua New Guinea. It was the largest earthquake recorded in the region since 1922. The earthquake and aftershocks affected approximately 544,000 people and 270,000 needed emergency assistance. 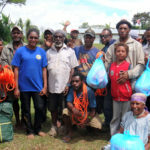 Thanks to generous donations, UnitingWorld has been able to support our partners, the United Church in Papua New Guinea (UCPNG), to provide emergency water, sanitation and shelter kits to communities most at need. 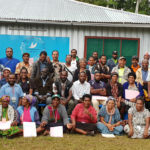 UCPNG has also partnered with other churches in Papua New Guinea to install new water tanks and latrines, as well as providing trauma counselling and peacebuilding workshops in impacted communities. 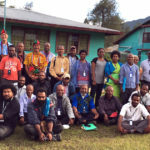 These recovery efforts have been supported by the Australian Government through the Australian Humanitarian Partnership and the New Zealand Ministry of Foreign Affairs and Trade.